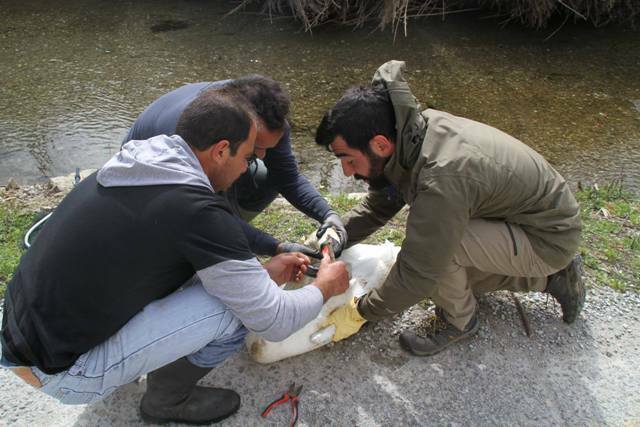 Life Andros team provided first aid to an injured swan in the wetland of Paraporti, after being notified by two of the project’s friends and the President of the Culture Public Entity of Andros Municipality, Mrs. Athena Tsatsomoirou. 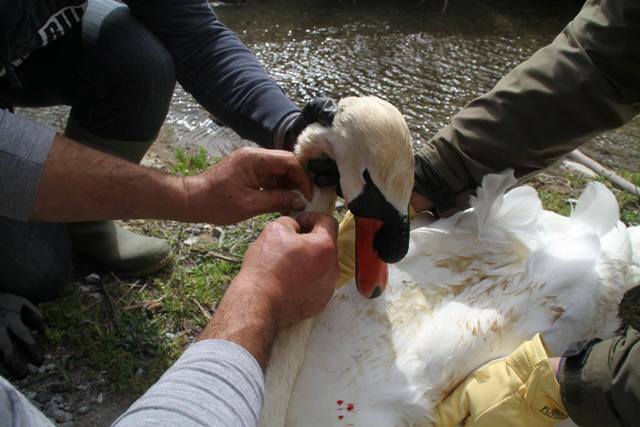 On Tuesday, the 22nd of March, Life’s team was notified about the appearance of an injured swan in the Paraporti wetland near Chora. The team arrived on spot in the afternoon of the same day, in order to examine the situation and provide first aid. With the proper equipment of Life’s project, the swan was pulled on land, where it was discovered that it had been injured by four hooks, which were caught on its beak and neck. The team removed the hooks carefully and provided first aid with a combination of electrolytes, in order to help the bird recover more quickly. Now, the swan is in the wetland and the project team will follow the course of its recovery for the next few days, hoping that people who fish in the area will be more careful in the future. We remind you that Life Andros project, which is realized by the Municipality of Andros with the contribution of the LIFE financial instrument of the European Union, has organized a fully operating first aid center for injured birds in Ormos, Korthi.